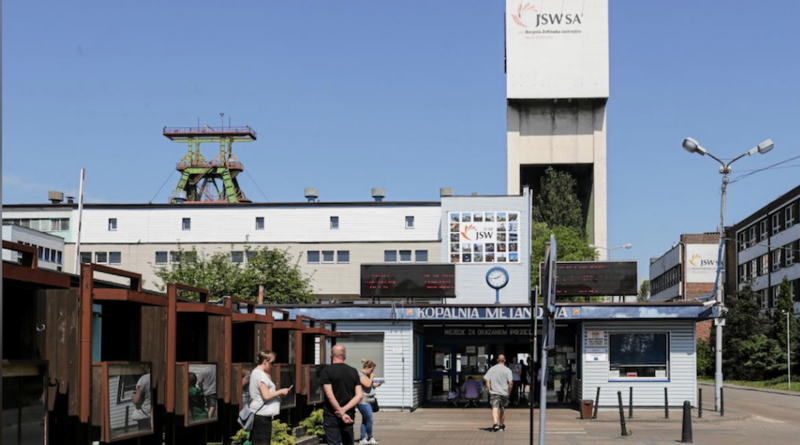 People wait outside the JSW mine where coal miners are missing underground after a strong quake hit a mine in Jastrzebie Zdroj, Poland May 5, 2018. Photo by Agencja Gazeta/Dominik Gajda, via Reuters. Rescue teams have confirmed the death of a second Polish coal miner and are searching for three more trapped nearly a kilometre underground after a quake, the chief executive of the mine owner said. The quake hit the Borynia-Zofiowka-Jastrzebie coal mine in southern Poland on Saturday morning, initially trapping seven miners at a depth of about 900 metres (2,950 feet). It was the mine's strongest quake going back to 1989. Two miners were rescued on Saturday after the tremor caused part of the tunnel where they worked to collapse. The energy released by the quake amounted to 40 percent of all energy released in the roughly 110,000 tremors recorded at the mine since 1989, Daniel Ozon, the chief executive of mine owner JSW, told reporters. Ozon said that the quake had a magnitude of 3.5 to 4.0. Earlier estimates by state mining supervisor WUG put its magnitude at 3.4. The two rescued miners were taken to a hospital in the city of Jastrzebie-Zdroj. They were in "relatively good condition" and could walk unaided, Ozon told reporters on Saturday. About 250 people were working in the mine at the time of the quake, JSW said. The missing miners were from a team of 11 that was drilling a new tunnel. Four escaped by themselves. Rescue operations were hampered by high levels of methane, which reached a concentration of up to 58 percent. Prime Minister Mateusz Morawiecki, who reached the mine on Saturday evening, said the rescue operation was difficult and that he hoped the remaining miners would be saved. President Andrzej Duda reached the mine on Sunday noon. The state mining supervisor said the quake was a type that can occur in coal mines deposits are removed. Reporting by Marcin Goettig and Pawel Sobczak; editing by Adrian Croft, Larry King.